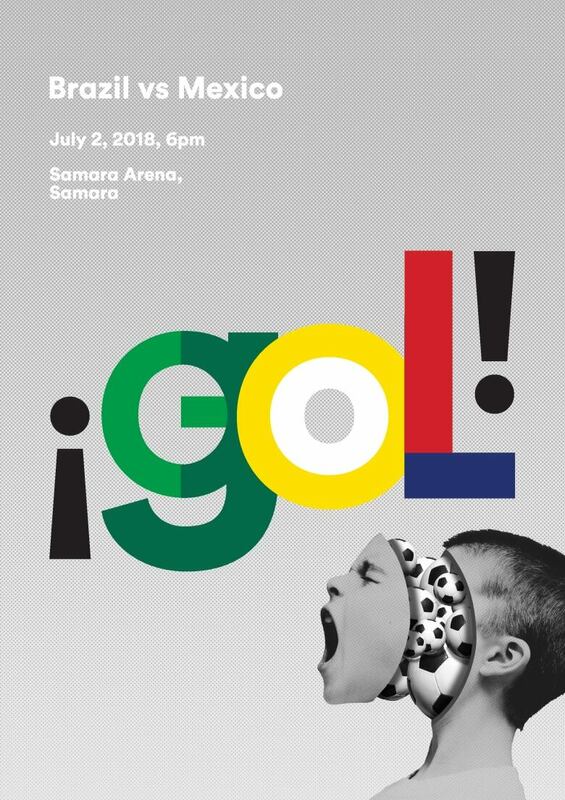 Every match, a new poster is added to this World Cup art show, and it all comes to head at Sunday's final. Check out some of the designs. There's no big-screen TV here. 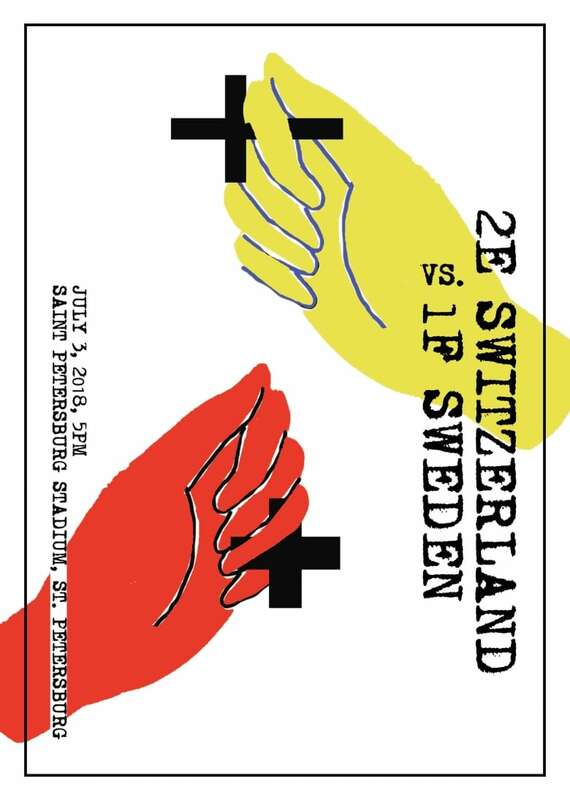 No flags, no face paint, no vuvuzelas either. But World Cup action is the main event inside Toronto's OCAD U Continuing Studies Gallery, and it's been that way since the games kicked off in June. 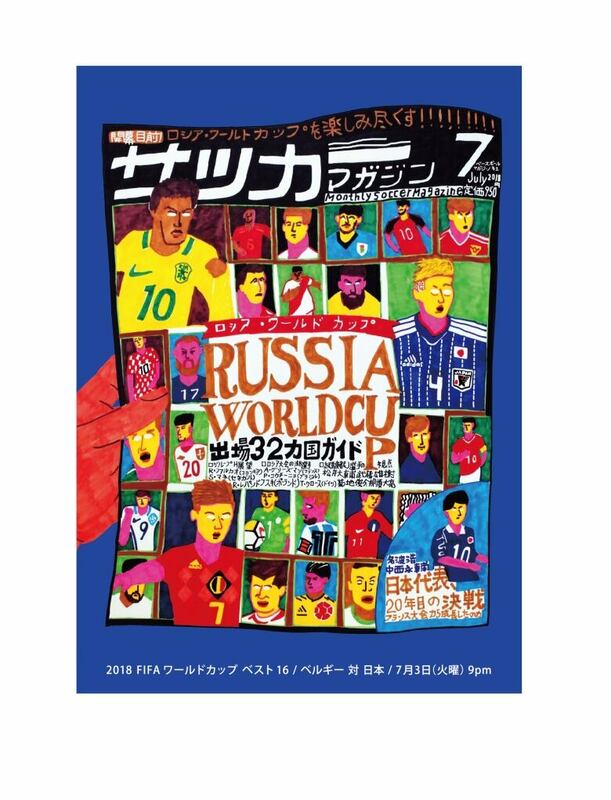 The small Dundas Street gallery is serving as the Canadian outpost of a World Cup-inspired poster exhibition through July 31, one of 10 locations spread through Switzerland, the Netherlands, Germany, South Korea and Russia. 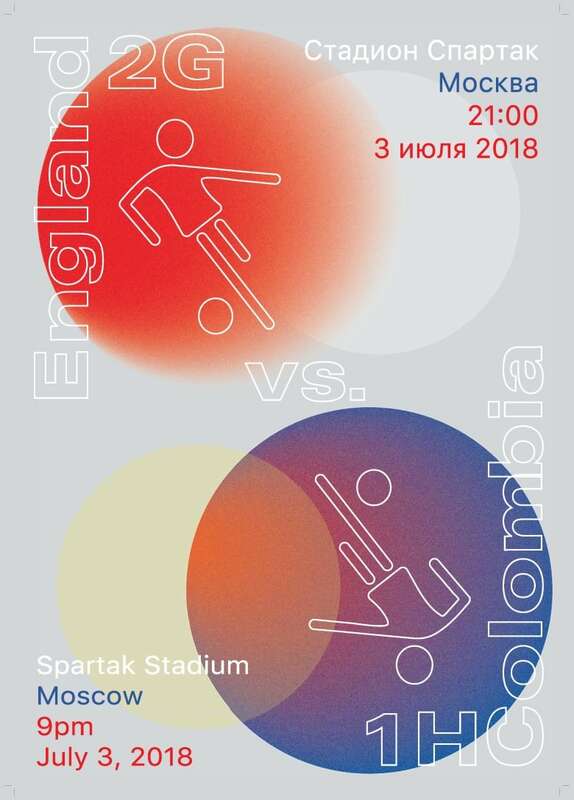 "When you think of the World Cup, you think of the TV, the stadium. You think of hooligans and beer and people getting rowdy," says curator Fritz Park. "I think this gives people a new perspective." 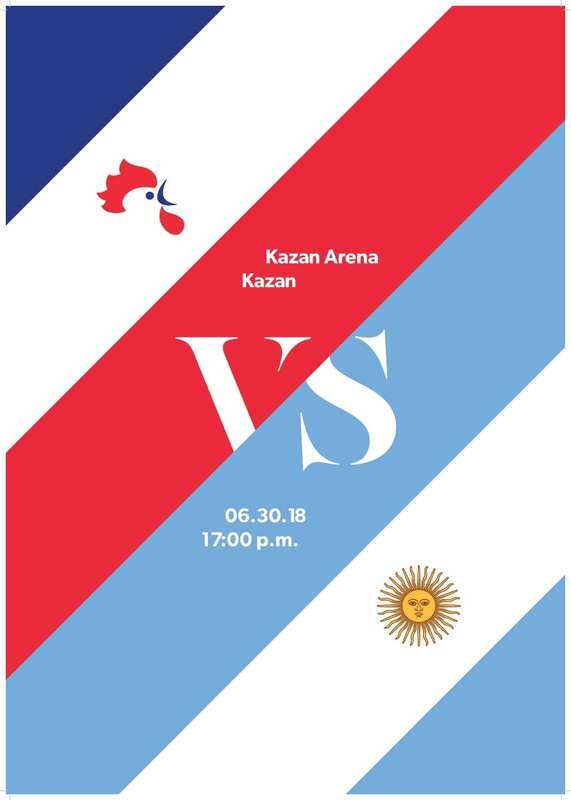 The rundown: artists from 18 countries will create 64 posters by the time the Word Cup wraps this Sunday, one for every match of the tournament, with a fresh design going up every game day. Final scores get scribbled onto the wall when each game wraps. 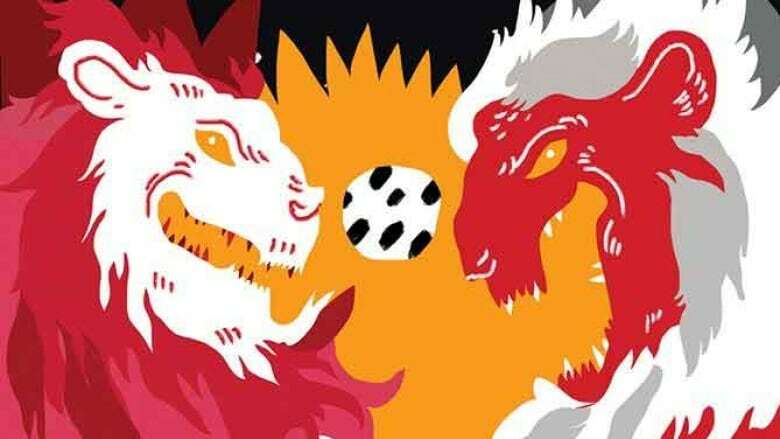 Unlike soccer, there are no rules of play. 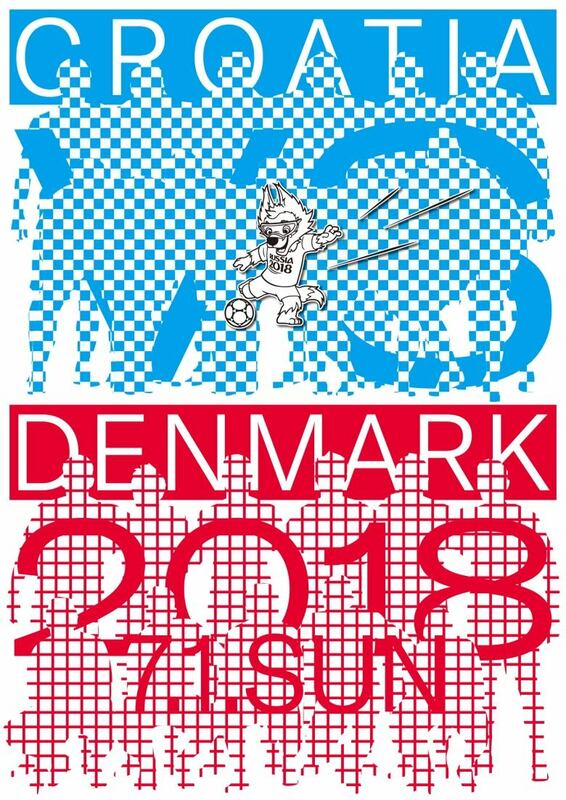 Maybe don't slap a FIFA logo on anything since this whole enterprise is strictly unofficial, but otherwise, it's Calvinball up in here. Posters can be political, satirical, abstract — whatever the designers imagine for a 16.5 x 23 inch page. 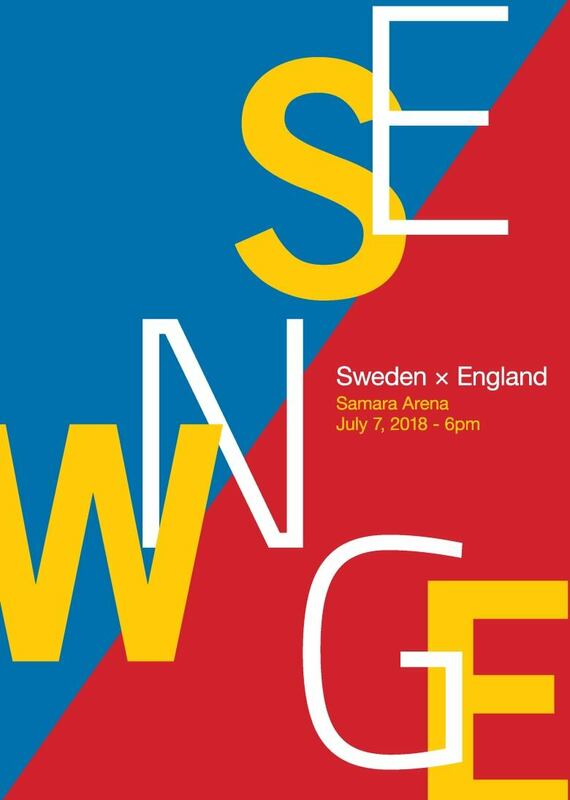 "I think it's an interesting way of seeing the sports event itself," says Park, describing the exhibition as being a bridge between sports fans and the arts — that spot on the Venn diagram where 3.5 billion World Cup viewers and graphic design nerds meet. But whatever pulls people into the gallery, they'll get dozens of takes on the beautiful game, the kind they won't find on the daily highlight show. 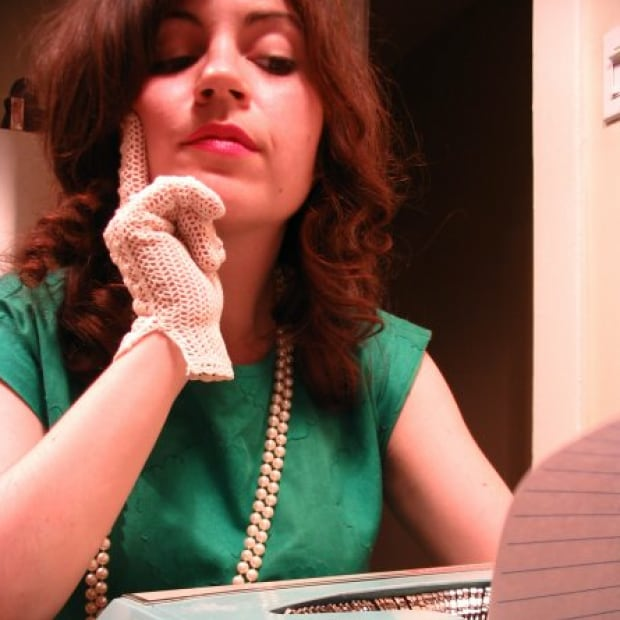 Lindsay Maynard, organizer and curator at the OCAD U Continuing Studies Gallery, is also one of the exhibition's contributing designers. 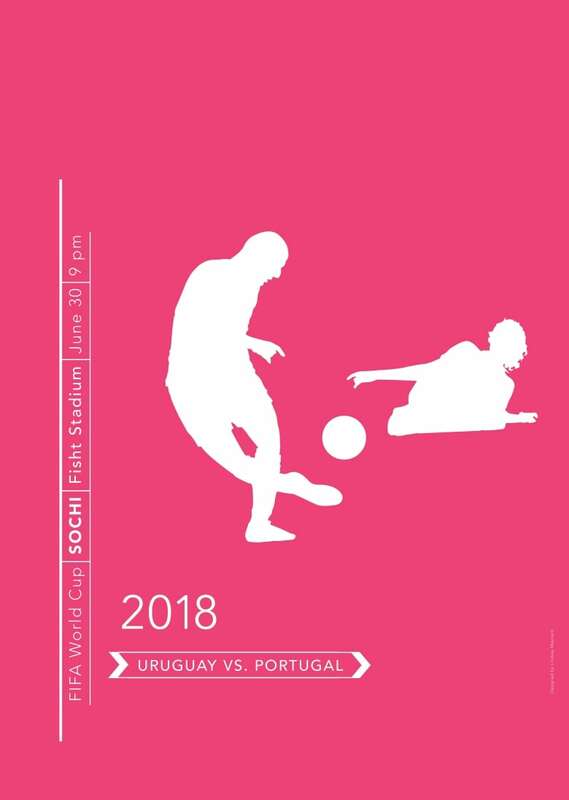 Her poster, for a Uruguay vs. Portugal match, features two silhouettes playing on a solid hot pink field. It comes across as a clean and simple promo poster. But with that colour choice, she's dropping a stealth-bomb of a message — one that reflects her personal experience with the game. "It's a more female colour and it's a very obviously male sport, the World Cup," she says, though she herself played competitively for a decade. This summer, Maynard's been following the World Cup with her young daughter; that blaze of pink is a reminder of women and girls' stake in the sport. "She was like, 'Where are all the women?' I think that's definitely something that crossed my mind." Both Maynard and Park are part of the unofficial Team Canada that's designing the exhibition's final 16 posters, and with the exception of two artists who are based overseas — Bowyer (South Korea) and Lee Kan Kyo (Japan) — all of the artists assigned to the knock-out rounds call Toronto home (although, like most Canadian World Cup-watchers, several are repping for other countries on the wall cards). Their posters will appear exclusively at the OCAD U gallery. That regional twist was Park's idea, and he's organized another local team of designers for the satellite show in Seoul. 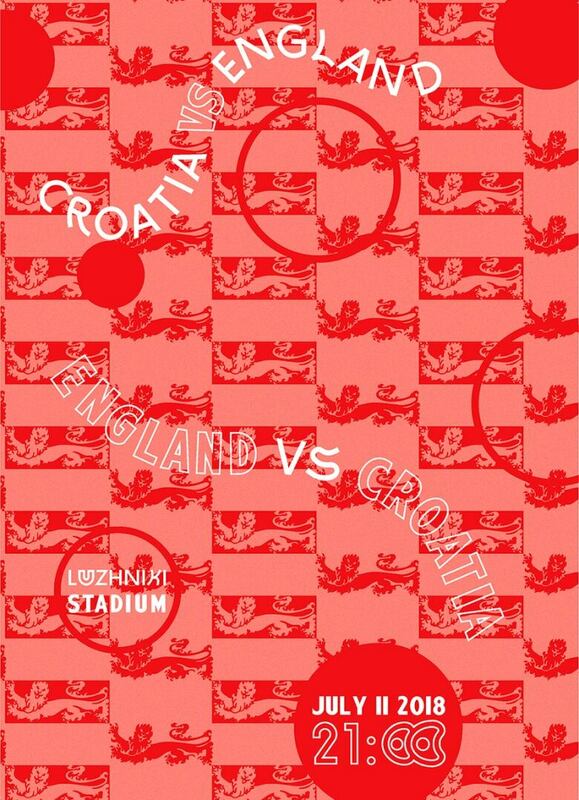 But the origins of the exhibition itself came from Weltformat, a Switzerland-based graphic design association. Park, who recently relocated to Toronto, has been the curator of their sister operation, Weltformat Korea, for three years. "When [Weltformat] said they wanted to make the show a little more international, Toronto seemed like the perfect place." "Of all the countries, of all the cities that I've visited, Toronto is probably the most international," says Park. "You have Portugal, you have Germany, you have Brazilians, you have Nigerians — all over the place. 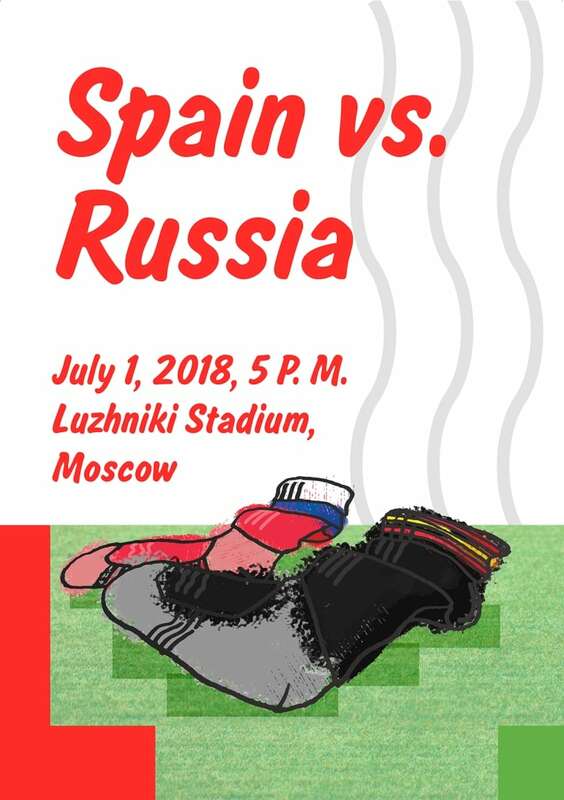 And they'll come out [during World Cup] with their flags; they'll come out with cheers. It's something to see!" Check out some of the posters below and follow @weltformatkorea on Instagram for the latest designs coming out of both Toronto and Seoul.